There’s not a lot that Doug Ferguson, who works for the agency AP (Associated Press), doesn’t know about the world of professional golf. At Troon, he’ll be covering his 20th Open and his 84th major championship. A Californian, he’s a fan of the LA Dodgers, exotic Hawaiian shirts (no logos) and shorts (no trousers, or pants as the Americans call them). Hope it’s not too cold in Ayrshire next week. It is so much fun being given a masterclass by an expert who is also an enthusiast, someone with a real passion for what they do. 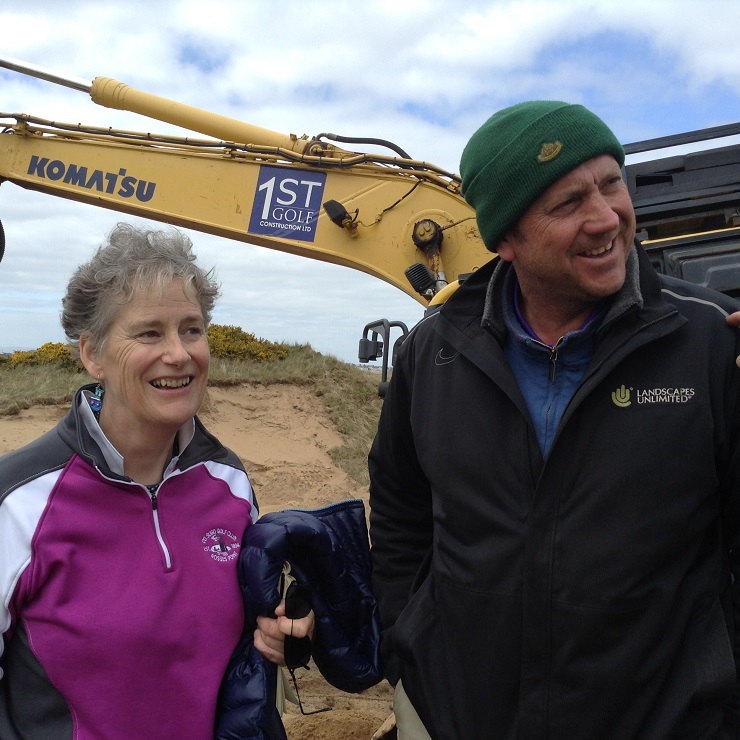 So to walk round the Dunluce course at Royal Portrush with Martin Ebert, of Mackenzie and Ebert, the architects charged with preparing the course for the return of the Open Championship in 2019, was a joy. 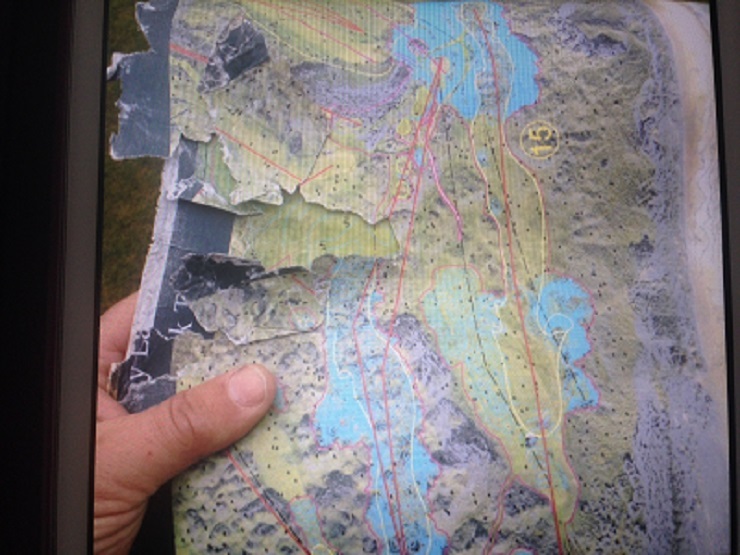 Maureen, looking at the holes with a professional player’s eye as she wielded the iPad and I, scribbling half legibly (the terrain was uneven) and taking the odd photo of a foot or headless body (ditto), tramped round being educated and charmed in equal measure. 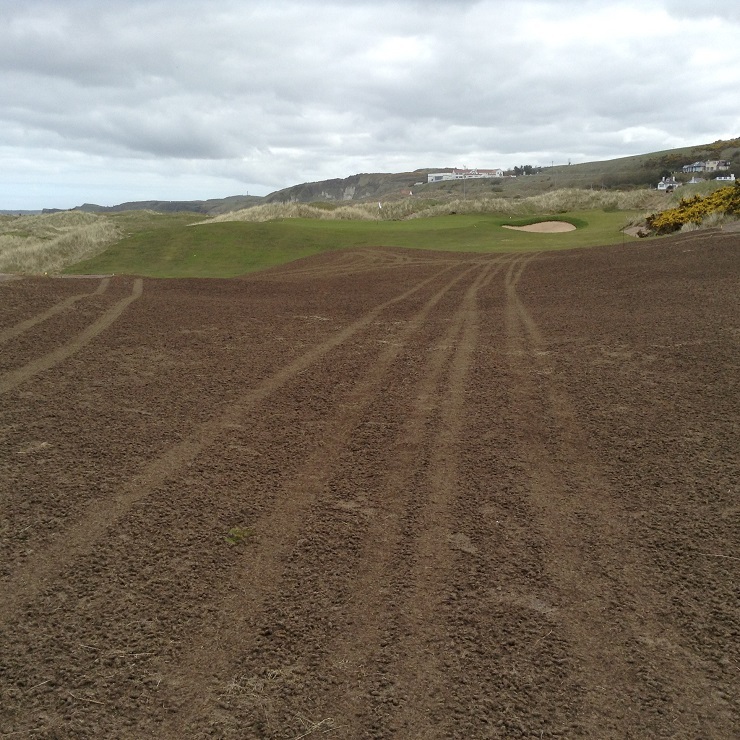 On the course, he enthused about what was already there, a testament to the land – “There’s no better dune-scape at the Open venues” – the genius of Harry Colt and the people working with him in the late 1920s and early 1930s. Some people think classic courses should stay as they are, conveniently forgetting that a golf course is always a work in progress. Grass grows, so do weeds and trees (though maybe not so many on the wild north Atlantic coast), cliffs erode and fall into the sea, the tramping of millions of cleats causes wear and tear, buckthorn spreads like wildfire and greens like the 3rd, the worst on the course, with clay underneath, get dug up and rebuilt. Lessons on the links with Martin Ebert. Ebert is an enhancer not a butcher. He and his team study the old plans and photographs, read the histories, send up the drones to do detailed surveys (a civilised use of a much maligned and misused bit of modern technology), then wrestle with the contours and scribble “spaghetti bits” all over the plans as they liaise with club members including the hugely useful and influential Darren Clarke. 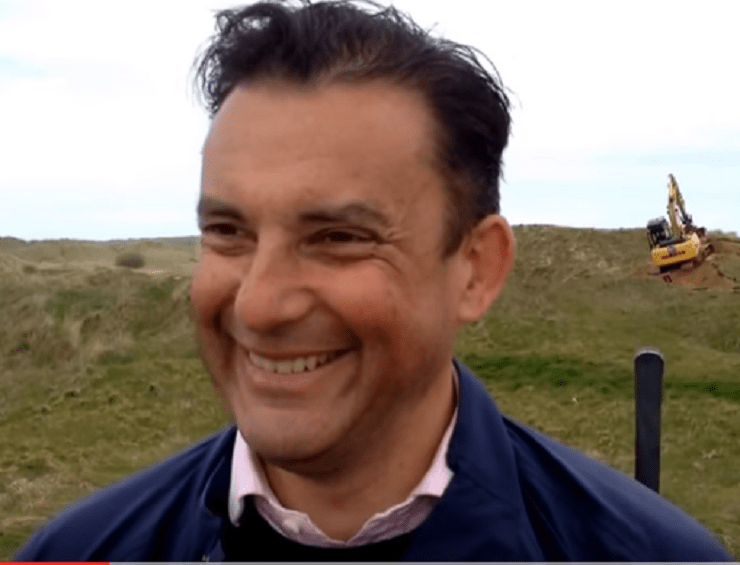 The Ryder Cup captain, Open champion at Royal St George’s in 2011, has an intimate understanding of the course, its winds and wiles and his knowledge has been invaluable. The new 8th, a great golf hole in the making. 1 Being brilliantly adept at handling the machinery. 2 Having the feel and eye of an artist. 3 Having a golfing knowledge. One promising candidate possessed the first two qualities but did know golf and his holes were unplayable! Once an expert like Marcus has finished it’ll be well-nigh impossible to tell what is natural and what’s a new creation. If you hurry, you’ll be able to see him at work at Portrush and marvel at the skill required to turn a squiggle on a piece of paper into a living, breathing course that people can’t wait to play again and again. 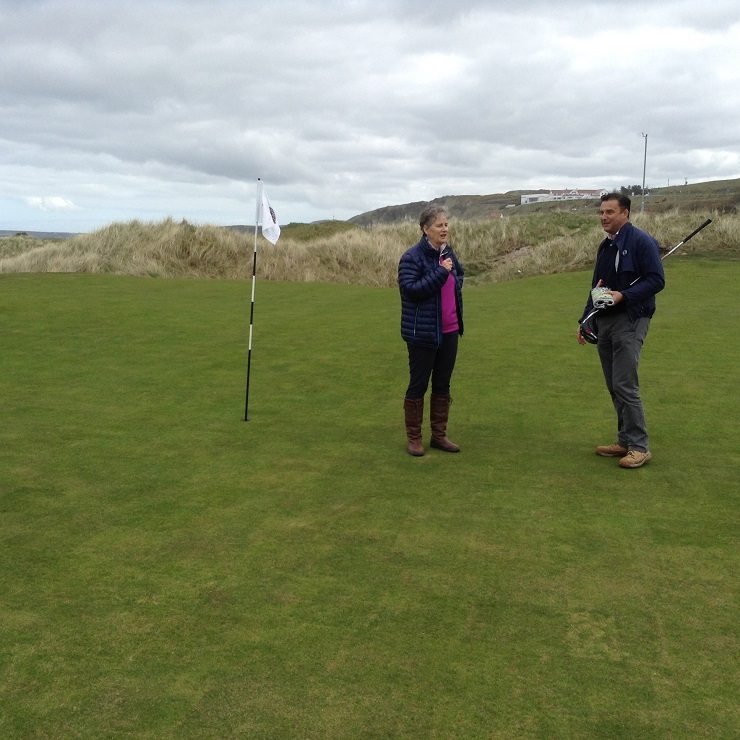 Mackenzie and Ebert are the R&A’s Open enhancers of choice and today (Friday 24th June) is a big day because it’s the official opening of the revitalised Ailsa course at Trump Turnberry. By all accounts it’s spectacular – Michael McEwan, an astute critic, was more than complimentary in Bunkered magazine – and may even overshadow US presidential hopeful Donald, the present owner of the resort, who will be in attendance. Whether he’ll see another Open at Turnberry is a moot point but he seems to have got himself a course that fits the bill. Martin Ebert, who likes to say that Trump once described him as “the most stubborn man in the world” (a scary thought if Donald has relegated himself to No 2), presents a more benign side in our question and answer video, for which we thank him. The Curtis Cup at Dun Laoghaire last weekend had pretty well everything: stunning golf, record crowds (though not sure how accurate the count was), torrential rain (no provision for an extra day? ), a player penalised for slow play (shock, horror, well done ref) and best of all a home win. It may be all about playing the game and making lifelong friends (there were a lot of those milling about) but there’s no doubt that winning is much more fun than losing. 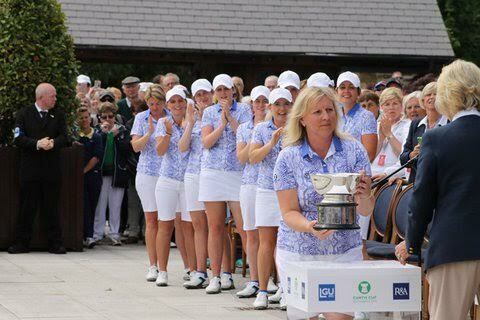 GB and I (or B and I as the Irish Times preferred) defeated the much-touted USA side by 11 1/2 points to 8 1/2, to regain the trophy last won at Nairn in 2012. Bronte Law, of Bramhall, became the second player to win all five of her matches, emulating America’s Stacy Lewis who had a 100 per cent record at St Andrews in 2008, when the format was changed to include fourballs and extended to three days from two. That change meant that all eight players play in the singles on the final day, so Rochelle Morris, of Woodsome Hall, did at least get a game. The GB and I captain Elaine Farquharson Black sat Morris out on the first two days, a tough call but by no means unprecedented. 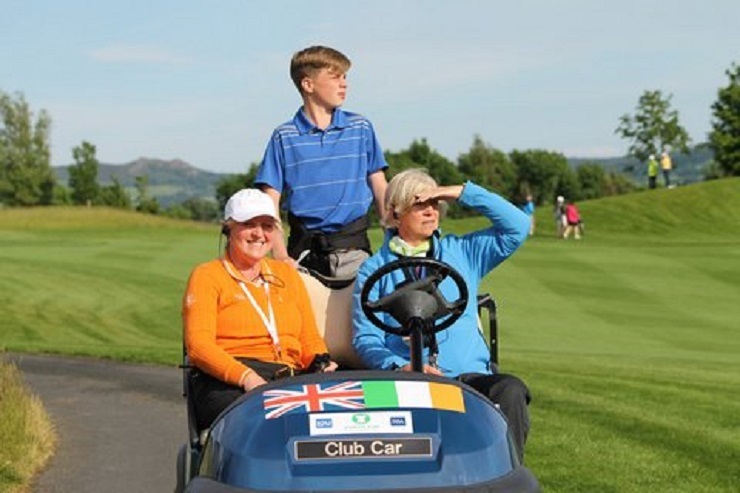 Claire Dowling, nee Hourihane, who was at Dun Laoghaire, was in the team at Royal St George’s in 1988 but did not play and the same thing happened to Kitty McCann at Muirfield in 1952. Both teams won. The appropriately named Bailey Tardy was deemed guilty of two bad times on the Saturday afternoon and had to withdraw from the hole, which the Americans lost. What displeased the US captain Robin Burke more was that she felt that there were other culprits too. “I don’t think it was consistent,” she said. What was consistent that day was GB and I’s excellence. They won five of the six matches, losing only the opening foursomes and were a cumulative 20 under par for the three fourballs. 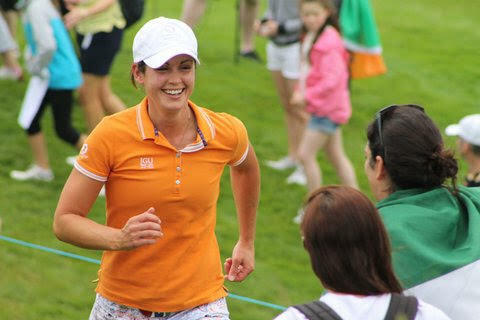 Between them, Law, Olivia Mehaffey (Royal County Down Ladies’), Leona Maguire (Slieve Russell), Charlotte Thomas (West Surrey), Meghan McLaren (Wellingborough) and Maria Dunne (Skerries) pitched in and holed putts from everywhere to run their opponents ragged in a flurry of fist pumps, celebratory jumps, hugs, handshakes and beams from ear to ear. Teammates Morris and Alice Hewson (Berkhamsted) cheered them on. 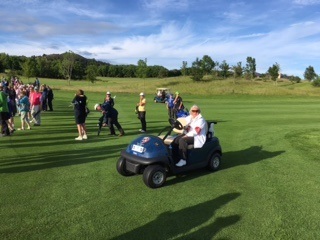 “I’ve never seen better golf at a Curtis Cup,” said Belle Robertson. The visitors, four of whom were only 17 years old, rallied in the singles but a deficit of four points with only eight left to play for proved too much. Keep an eye out for the future exploits of Hannah O’Sullivan, Tardy, Sierra Brooks, Monica Vaughn, Andrea Lee, Mika Liu, Bethany Wu and Mariel Galdiano. They’ll doubtless be champing at the bit because they’ll have noticed the duo of teenage professionals at the top of the leaderboard at the KPMG Women’s PGA Championship at Sahalee CC, near Seattle. Brooke Henderson, an 18-year old Canadian, beat Lydia Ko, the 19-year old world No 1 from New Zealand, at the first extra hole after they had tied on 278, six under par. Henderson, who was winning her first major title, finished with a 65, six under par and holed from three feet for a winning birdie in the play-off. Ariya Jutanugarn, the Thai in third place, is a veteran of 20. To make me feel even older, I’ve been reading the R&A’s new Pace of Play Manual – and enjoying it. Time for a lie down!